Phyllis Lundy, President of Lundy Leadership, combines diverse general management and human resources experience with 20 years as a trainer, facilitator and consultant. 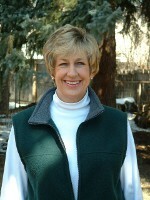 She has developed and conducted seminars for numerous organizations, including The Library of Congress, Qwest, Coldwell Banker, The U.S. Army Corps of Engineers, Simpson Housing, The Federal Highway Administration, the State of Wyoming, and various other companies, associations, and local, state and federal government entities. She is an adjunct consultant and trainer for The Transportation Learning Network, The Western Management Development Center, and The Graduate School of the USDA, where she received the 2004 Team Faculty Excellence award for her role in training the Customs & Border Protection Division of the Department of Homeland Security. Phyllis has a BS degree in Psychology, is a qualified instructor for the Myers-Briggs Type Indicator (MBTI), and is certified in VitalSmarts Crucial Conversations, The Center for Creative Leadership’s Benchmarks 360 assessment and the ChangeWorks, LLC, Leading Change and Change Resiliency programs. Stefani Conley has six years of experience as a human resources director and over ten years of experience at the senior executive level in both private and public institutions, including five years as an Assistant County Manager in Colorado. Her experience with organizations ranging from manufacturing and service companies to health care organizations and government enables her to offer fresh and unique perspectives to leaders facing cultural and operational challenges. Creating innovative solutions which produce exemplary results, Stefani invigorates an organization, steering it to its best performance. As just one example, her work guided a healthcare organization to achieve formal national recognition as among the top 100 organizations in its industry. She has devised, promoted and presented a wide range of policy, compensation and benefit reforms. She has led various organizational communication initiatives as well as created and implemented a range of employee training curricula, increasing motivation and developing leadership. Brice Davis has an extensive management and training background with such diverse and well-known companies as Xerox, Digital Equipment, U.S. West, and VoiceStream Wireless. She transitioned this expertise into more than 15 years as a consultant, developing and facilitating customized corporate training. Her specialties include management development, communication, customer service, time management, presentation skills, train the trainer, selection and hiring, and career development. Clients include New Mexico State University, Janus Funds, Mountain States Employer’s Council, the US Postal Service, Quizno's, ICAT (insurance) and the City of Aurora. Brice holds a BA Degree in English. She is certified as a Dale Carnegie Instructor for Effective Communications and Human Relations; CEU accredited for Dale Carnegie Strategic Presentations, and certified for Franklin Covey What Matters Most. She is a Certified Professional Trainer through ASTD/Regis University, and a member of ASTD and the International Society for Performance Improvement. Larry Prochazka, Ed.D., has been in the education and training field for over 15 years, teaching courses in leadership, creativity and group dynamics in university, corporate and government settings. As a wilderness instructor, he has led five-week trips teaching leadership and team building skills to participants. Larry specializes in helping teams and team leaders improve their accountability and productivity by increasing their capability to communicate, listen, connect and be creative. Some of the organizations Larry has worked with as a trainer and facilitator include Microsoft, The FBI, The Colorado Department of Transportation, The Denver Water Board and the United States Air Force Academy. Larry received his Doctorate of Education from the University of Utah. Kathy Stewart has 20 years of experience in the telecommunications industry, including positions as Area Vice President of Adelphia Communications, with operations responsibilities for a six-state area and 405 employees; Area Director of AT&T; and Area General Manager of TCI Communications. Recognized for her strong interpersonal skills, negotiation skills, leadership development, team development, and as an effective and successful visionary strategic planner, Kathy brings these talents to her work as a trainer for organizations such as Front Range Community College and Colorado LTAP. Kathy has also held many leadership positions on boards, advisory committees and industry associations. She is qualified MBTI trainer and an adjunct consultant with Right Management Consultants. Kathy holds a BA in Communications and an MA in Organizational Behavior. 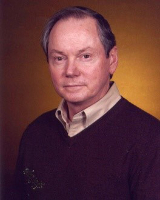 David Talley, PhD, has been involved in teaching, training, and executive development for over 40 years. As Training Services Manager for the Wyoming Department of Transportation for 17 years, he was instrumental in the agency’s leadership development efforts. David has taught practical ethics at the graduate and undergraduate levels and for numerous organizations, including the former Wyoming Governor and the Governor’s Office Staff, as well as ethics classes for the staff of the Attorney General’s Office, the Wyoming Public Defender’s Office, two state commissions, and the state’s Certified Public Manager Program. He has a bachelor’s degree in education, a master’s degree in counseling, and his doctorate is in management with an emphasis on organizational leadership. After 23 years in the U.S. Air Force, David joined Wyoming State Government as a Senior Trainer. He completed Ethics Corps Instructor Training with the Josephson Institute of Ethics in 1995. He has been very involved in the ethics training process since the issuance of Executive Order 1997-4, State of Wyoming Executive Branch Code of Ethics. Deborah Westcott, MSW, PCC, has a coaching certificate as a Professional Certified Coach as well as a Master’s Degree in Clinical Social Work. Certified in two Social and Emotional Intelligence assessments, she has worked as an educator, coach, consultant, and psychotherapist for more than 30 years. In addition to her coaching and consulting work, Deb has taught at Colorado State University and has served on many Colorado non-profit boards and commissions. A dynamic trainer and facilitator, Deb specializes in teaching transformational leadership, coaching and mentoring skills, emotional intelligence, self-esteem, empowerment, and assertive and effective communication. Clients who have been coached by Deb are more confident and self assured, have received promotions, attained higher salaries, advanced their careers and have a higher level of satisfaction at their jobs. Kriss Wittmann, graphic recorder, has 15 years of experience in higher education and corporate training. Kriss has provided training and leadership to universities in the U.S. and in Great Britain to organizations such as The U.S. Postal Service, ADT Security Systems and Sprint PCS. As a graphic recorder, Kriss teams with our facilitators to provide an illustrated and accelerated learning experience for workshop participants, as well as a take-away map that visually reminds participants of the training or teambuilding experience and learning. Kriss’ background includes positions as Southwest Region Training Supervisor for Sprint PCS and Ropes Course Facilitator for Colorado State University. She has illustrated and recorded for numerous organizations including internationally for the United Nations. She holds a BA in Communication Arts and a Masters degree in Higher Education from Colorado State University.